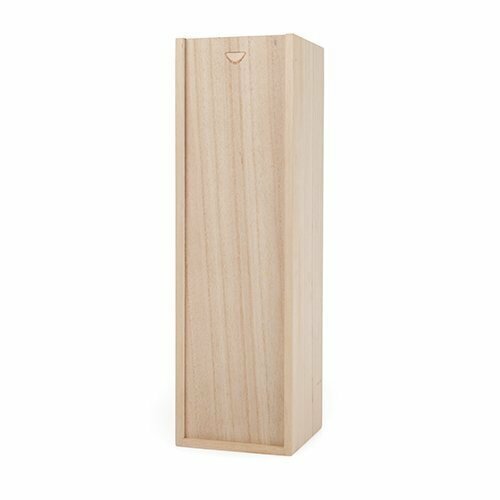 QUALITY WOODEN WINE BOX – This box weighs only 15.2 ounces and is constructed from Paulownia wood, which keeps it lightweight yet sturdy. EASY ACCESS AND AMPLE PROTECTION – The sliding lid moves easily to open and close the box conveniently to access your favorite bottle of wine nestled on the protective straw lining the bottom of the box. PERFECT FOR GIFTING – Because the box comes with packing straw, it makes the ideal wine gift box for gifting a bottle to friends, family or anyone else with whom you want to share a special bottle. HOLDS ONE BOTTLE – The box measures in at 14.2 x 4.4 x 4.2 inches, which fits a standard bottle of wine or champagne comfortably. EASILY CUSTOMIZABLE – The wine box is easy to customize and make your own through burning your selected design, artwork, or message.